The course begins with Introduction to SAP Basis, followed by Architecture of SAP Systems, Installing SAP Frontend, in-depth training about Administration Tasks like User Management, Transport Management System, Database Analysis, Memory Management and Miscellaneous, profile and operation modes are delivered. The certification fee varies from institutes to institutes with fee structure from 25K to 75K. 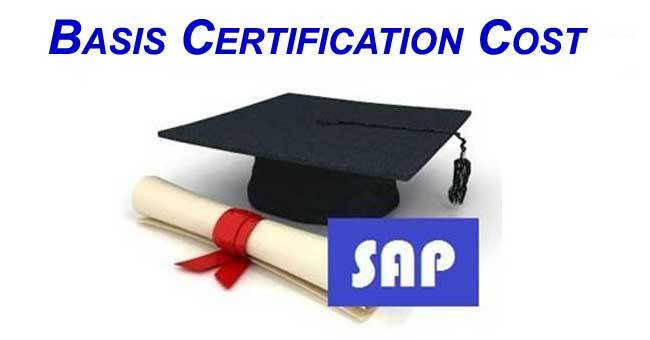 hi sir i want to ask you regarding sap basis , sap certification is mandatory to get a job in I.T sect. and if i join without sap authorized institute in Delhi , so then please tell me this institute is beneficial form mr to get a job in indian market.